We have had several instances in the past where we had to eliminate a horse from our program due to behavioral issues. The really unfortunate thing was that these were typically behaviors developed after the horse had been in our program for a lengthy period of time and was obviously a result of them either being bored or simply “doing their own thing” due to a lack of leadership from the human side of the partnership. What makes this particularly challenging is that we do not have the luxury of having a single person lead or handle a horse every time they are used; we depend on our volunteers heavily and could not do our therapeutic program without them. Since incorporating Parelli methods into our volunteer training and also using the “games” in many equine facilitated learning sessions, our horse/human interaction is evident in everything we do; especially in ensuring that our equine partners are able to perform at their best levels in what we ask them to do. We have also noticed a significant improvement in the volunteers in that by making this investment and adhering to a standard, they find working with the horses to be much more rewarding and therefore they are typically more committed to staying part of the volunteer program. In all, for us it is more than an individual positive effect; by introducing the Parelli Program our barn has become a more cohesive, harmonious environment where the volunteers appreciate and understand the principles of good horsemanship and also take great pride in improving their own skills. And even more importantly, our horses can continue their role and enjoy their jobs in the equine facilitated therapeutic environment. We are extremely appreciative of this opportunity; it would not have been possible to take these steps were it not for the funding from this grant. We look forward to continuing to grow our horsemanship skills. 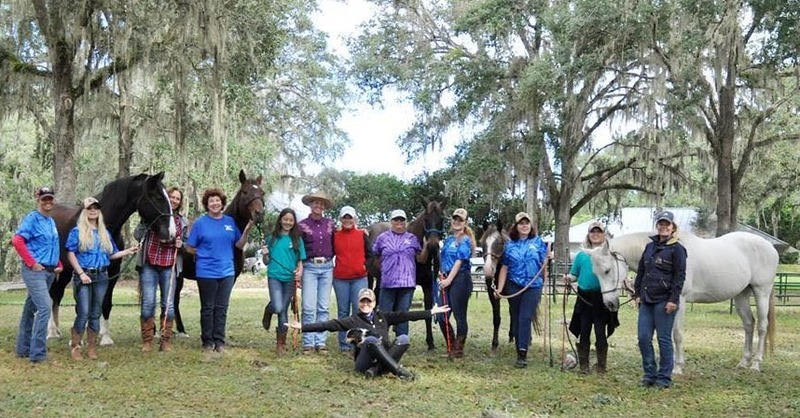 The highlight of our year to date was being able to take a group of volunteers and our horses to Ocala to have a one-on-one workshop with Linda Parelli. She was an amazing clinician and we are still talking about it! 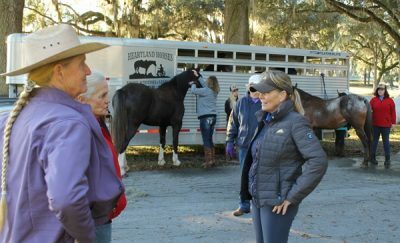 Heartland Horses used their grant to purchase carrot sticks, lead ropes, halters and a Savvy Club membership and sessions with 2* Parelli Professional Nancy Slater.